There are certain things that parents will never forget about their children, such as their first piano recital, the first time they learned to swim and the very first time they made a perfect shot on the home basketball court. Remember their first shot. After they made that first shot, they were unstoppable. They continued to score point after point, unintentionally turning what was once practice into passion. We know what it's like. We get it. Why? Because that's how our family got started in the game, too. We Are Your Local Name in Athletic Flooring. For over four decades, Carolina Sport Court has been unearthing potential for champions. We actively work with families and facilities across the Carolinas to build only courts with the caliber of championship. 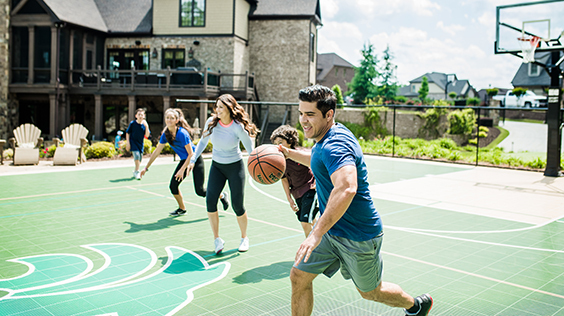 Located in Wake Forest, North Carolina, our local CourtBuilders install courts in the areas of Winston-Salem and Raeigh. What we deliver for families and their loal communities is the result of hard work, sweat, and pure skill. 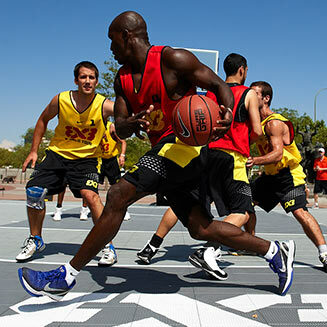 We are the exclusive CourtBuildersTM for Sport Court athletic flooring and components. 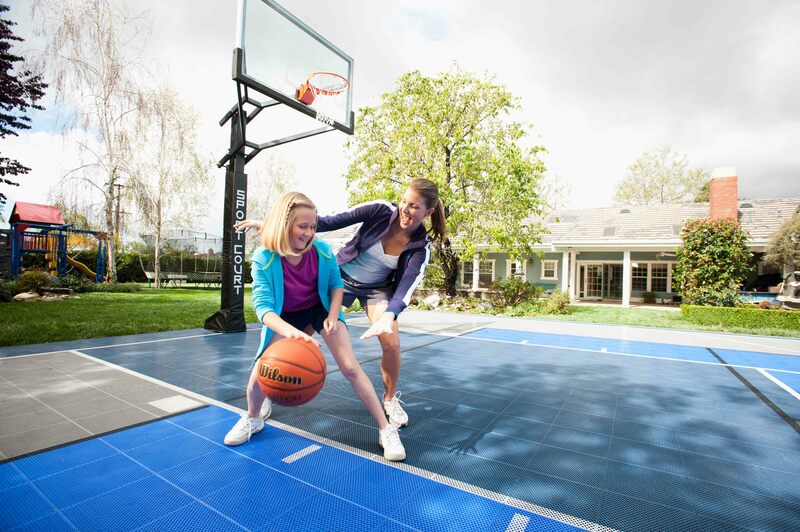 Our mission is to make sure that your new court will be built with the kind of quality products and installation associated with the Sport Court name. It’s all about bringing your friends and family together to create all-star memories. 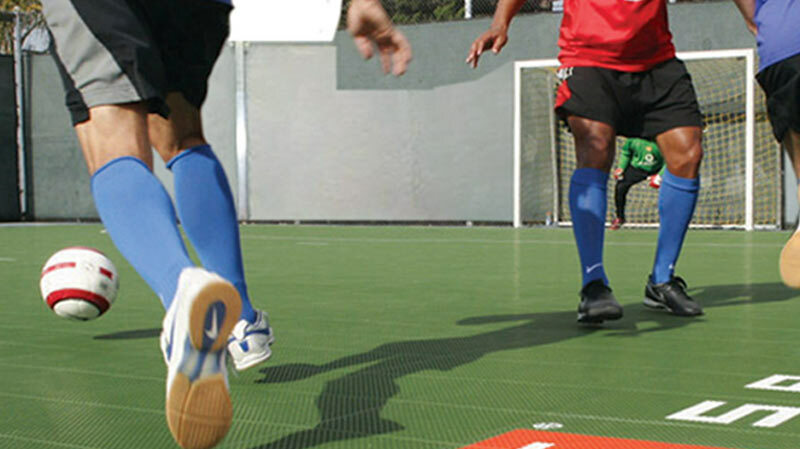 With a game court from Carolina Sport Court, you can play 15 sports on your court. Build bonds on your court. No matter what court your family needs, we’ll build it. 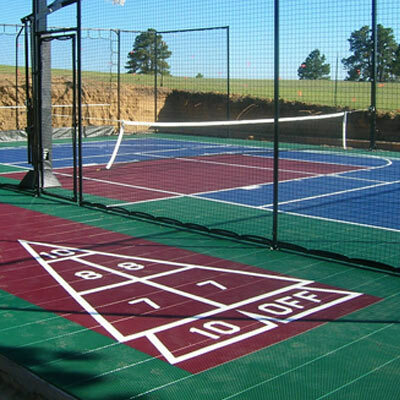 Carolina Sport Court’s dedication to customer service and quality courtbuilding ensures you will have a court where teams form, friendships grow, and champions are born. “I was delighted with everything including the fair/reasonable price I paid. Please call if anyone would like to talk with me about the details of what we did. I highly recommend this fine organization." Our Products: Built On Performance, Quality and Safety. Don't hesitate to browse through all of the products that we offer at Sport Court! All of our products are built for quality, safety and excellent performance. Teamwork is about partnership. From the next generation of champions to the pros, Carolina Sport Court supports and partners with the community organizations like the ITF, USPTA, USTA, USA Volleyball, NCAA, and SEC ESPN, to bring sports to life for the community. We’re proud to be the official court of some of Carolina’s greatest sports teams.